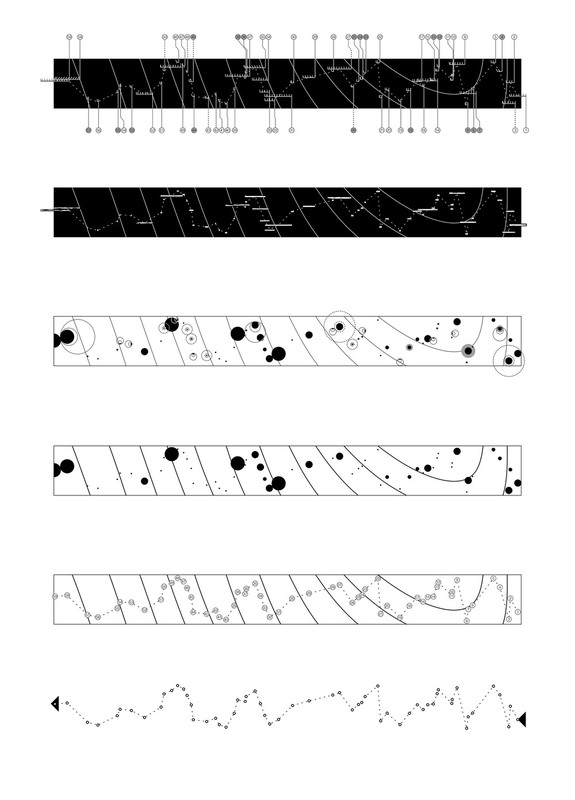 59 Trees is the measurement of a landscape – a latitude / a line. It is an act of architecture: it records space as path, volume, and material by the methodical use of a 6’ staff, a camera, and a roll of duct tape. A forest is an array of its individual trees. 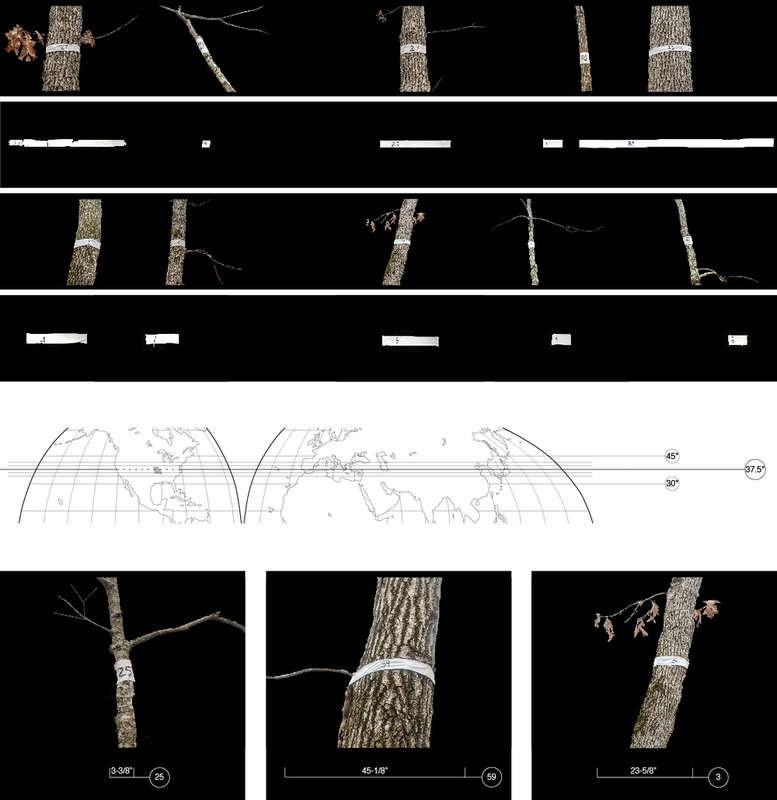 Within the 20’x200’ space of the line drawn through this new-growth forest, each tree was tagged, measured, and coded, becoming the figure hidden in a invisible line that runs across multiple continents. 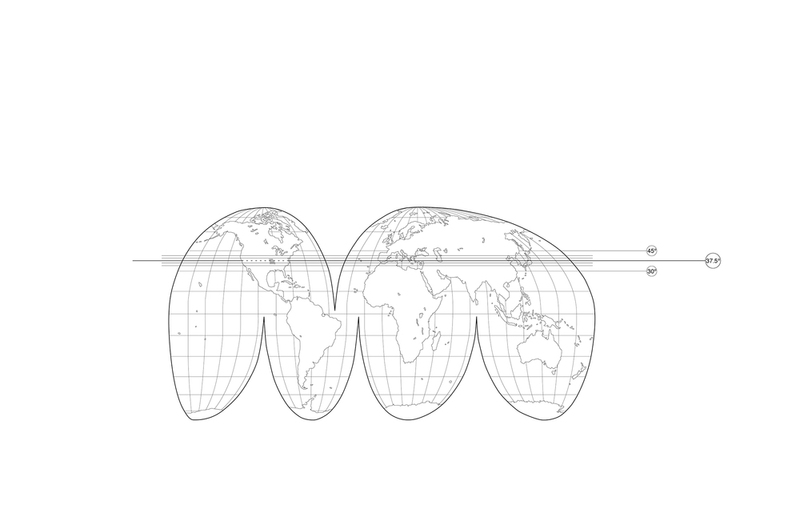 The tectonic of this architecture resides in the temporal fastening of the tag to the tree at a set height, and the fastener as artifact that represents the tree’s circumference as a numeric value. 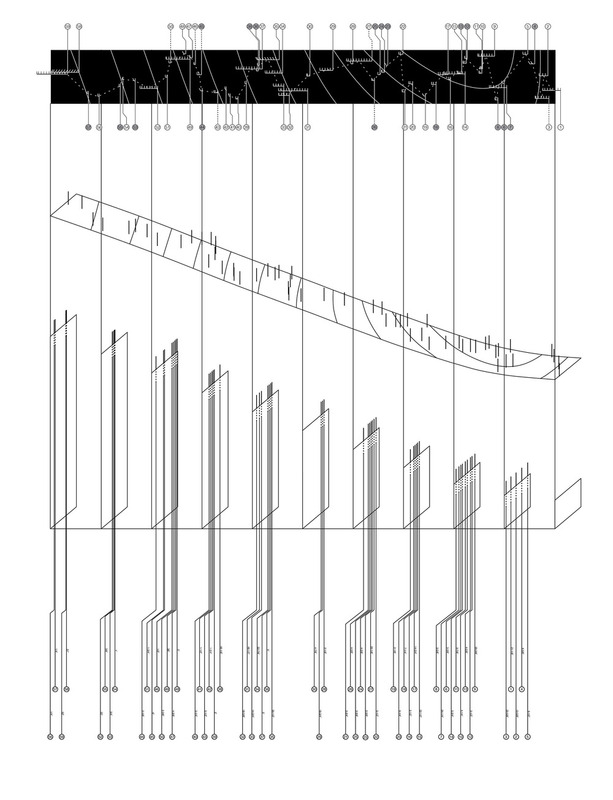 A series of analytical drawings define an idea of site as survey, as process, and as a means by which the individual tree can be reduced to the abstraction of a line.